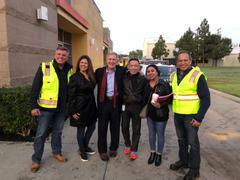 SANTA ANA, CA - In an effort to improve quality of life in Santa Ana and assist individuals experiencing homelessness, dozens of City of Santa Ana staff and City leaders, including Federal Judge Carter and the City Council, have been working together to immediately address a need to increase homeless outreach and engagement efforts as winter weather has begun. The City's Quality of Life Team (QOLT), in tandem with the Police Department and various City departments, have been enforcing an Incident Action Plan (IAP) to connect Santa Ana homeless residents in the community with available resources, including the new interim emergency homeless shelter, The Link. Operation Dignity is another concentrated effort by various city departments to provide a decent living environment for the City’s homeless before the holiday season and freeing up city streets and parks for all residents and visitors to enjoy and use. 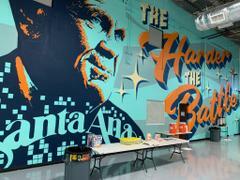 The human kindness exemplified by the city of Santa Ana through such programs is an example for all cities to follow. "Operation Dignity" began on November 30, with the QOLT team working in two daily shifts (4 a.m. to 1 p.m., and from 1 p.m. to 10 p.m.) to implement the City's enforcement policies and direct homeless individuals to available shelters and resources. Since opening in mid-November, The Link has served over 147 homeless individuals, with as many as 24 people being admitted in a single day. This augmented, citywide outreach effort concluded on Thursday, December 6th. "This request for enhanced outreach and engagement necessitates a strong enforcement component, which is being led by our Police Department in alignment with an Incident Action Plan (IAP) they’ve developed," said Mayor Miguel Pulido. "It is the City's hope that our outreach efforts will result in a continued increased occupancy at The Link. In the meantime, the City will continue to implement its enforcement policies and direct homeless individuals to available shelters and resources." “I personally went out to see the outreach firsthand. I was extremely proud of our SAPD , Executive Staff and the various city departments for leading with humanity and professionalism. Our success is possible in Santa Ana because our residents, city staff and council have lead with putting people first,” said Mayor Pro Tem Martinez. As we continue our efforts we will see less street homelessness and a better quality of life for all. Our outreach efforts must continue and lead us towards providing a permanent solution in addressing street homelessness. 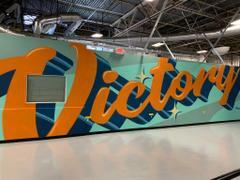 Last month, the City of Santa Ana has raised the bar by completing the build-out of its interim emergency homeless shelter 28 days and making it ready to accept clients in 41 days through intensive collaborative work of various city departments, property owners, and the shelter operator. The efforts of Operation Dignity have been recognized by Federal Judge David Carter as yet another best practice model for addressing homelessness in Orange County with dignity and respect. Operation Dignity was also highlighted on ABC7 news. To see the video, click here: https://abc7.com/santa-ana-officials-work-to-solve-citys-homeless-problem/4856339/. 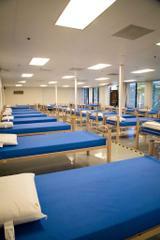 For more information on the interim emergency homeless shelter, please visit https://www.santa-ana.org/homelessness/emergency-shelters/interim-homeless-shelter-link.